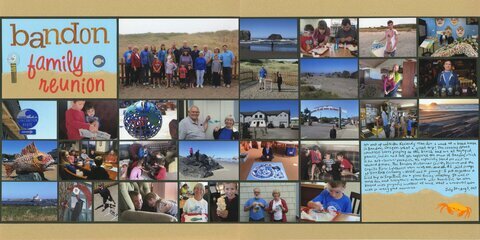 I’ve had photos from our 2017 family reunion in Bandon, Oregon cropped and mounted to black cardstock for a REALLY long time. I finally forced myself to sit down and make a title card and journaling card to complete the layout. I don't love it, but I'm happy to have it in the album. Love this! LOVING the photos and the colors!